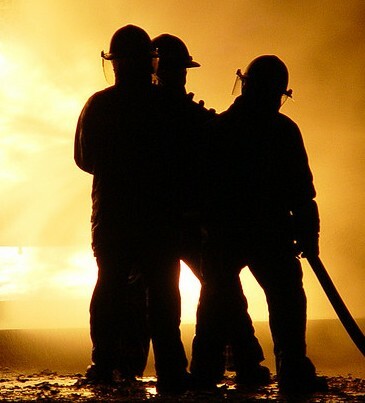 The dangers associated with breathing contaminated air are also well known and especially critical when using self contained breathing apparatus (SCBA) tanks in emergency situations. Sigma Sensing has solutions for individual or multiple contaminant monitoring of breathing or rescue air. Normal CO2 levels outdoors (i.e. 200 - 400 ppm) or indoors (i.e. 500 - 2,500 ppm) are not considered hazardous. However, compressed air with CO2 levels that are within the "indoors range" can create problems in Self-Contained Breathing Apparatus (SCBA or BA) applications. Some compressors might be equipped with filters to reduce CO2 levels. CGA G-7.1 lists a 1,000 ppm maximum for Grade D and a 500 ppm maximum for Grade E air. High CO2 levels in SCBA tanks can produce many of the same symptoms as CO poisoning. In addition, high CO2 levels increase breathing rates, which shorten SCBA usage time. One of the most common causes of SCBA air quality failures is excessive CO2 content. Sigma is offering for this purpose a fixed installation unit of the CAGP50 series that can monitor the correct levels of CO2 in the air system. The unit which is designed for industrial applications is using a long life NDIR CO2 sensor for this purpose. The sensor monitors the air in ambient pressure as the compressed air pressure is reduced to ambient pressure for air sampling in a low pressure measurement chamber. 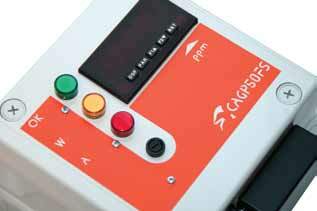 The CAGP50 series also has a traffic light type status indication with a tri-colour led (version CAGP51) or 3 separate lights and an alarm signal output all freely configurable (version CAGP52).